Plant seeds are best kept in brown paper envelopes / brown paper seed packets. 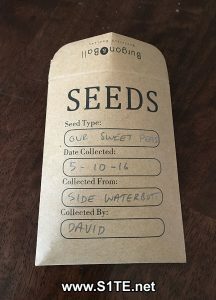 This is because seed packets are generally thick in gauge and solid in cardboard construction so no damp weather or water can get to your seeds, which in effect can start the germination process. Once you have saved your seed its always best to store them away from daylight and in a cool place. This is to make sure your seeds do not start to germinate but also preserves them, until they are ready to be used. Seeds ready for storage are always best dried out so no damp is collected within the seed packets. 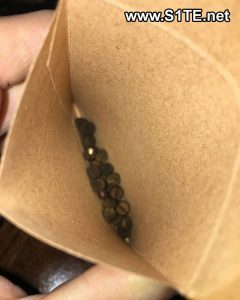 I personally save seed in seed packets and then store them away in a dark metal sealed seed packet holder. I have used this for many years without trouble.